For 30 years he has provided her with a home and an income, while she provides ‘mistress services’ – ‘All sexual acts as requested, with suspension of historical, emotional, psychological disclaimers.’ They first met at university and then lost touch. 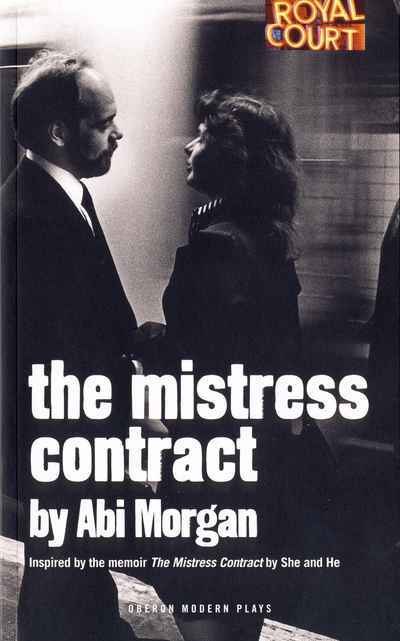 When they met again twenty years later, they began an affair when She – a highly educated, intelligent woman with a history of involvement in the feminist movement – asked her wealthy lover to sign the remarkable document that outlines their unconventional lifestyle: The Mistress Contract. Was her suggestion a betrayal of all that she and the women of her generation had fought for? Or was it brave, honest, and radical? Then — on a small recorder that fit in her purse — this extraordinary couple began to tape their conversations about their relationship, conversations that took place while travelling, over dinner at home and in restaurants, on the phone, even in bed. Based on reams of tape recordings made over their 30 year relationship, The Mistress Contract is a remarkable document of this unconventional couple, and the contract that kept them bound together to this day.